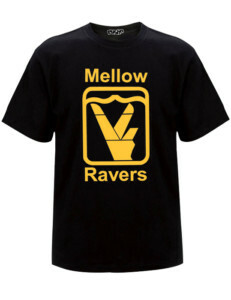 Mellow Ravers (RN2094) is a t-shirt design we originally did in the late nineties. The idea of this print is a peace symbol. 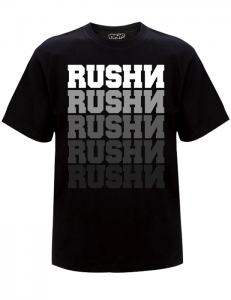 Ravers are naturally mellow, peaceful, loving and always respectful. During this time it was popular to parody different company logos. Which is what we did with this design and so that was the totality of the design thinking. We won’t mention the company here, otherwise they might find this post and we don’t want that kind of attention. If you’ve searched for this term and found this post then you most likely know the reason why and who the company is.